Hello lovely friends! I'd like to share with you a layout that I created. Photo plays a huge part in my creative process. I always have the photo first and next I will gather supplies to create around it. 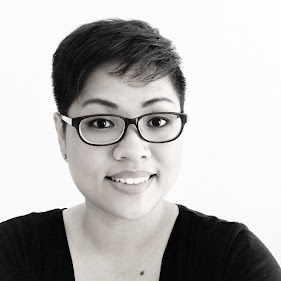 Let me walk you thru with my creative process on this layout. In this photo, you can see these elements - black & white, stripes, pink, floral + a hint of green. Such perfect elements to use Confetti collection with this adorable photo of my daughter and her new friend she found in the hospital. After identifying all the elements, I started to gather the papers & embellishments. Creating with a collection certainly save me a lot of time. For the design, I wanted it to be diagonal on one end. What I did was to layer the papers onto each other. Once I am happy with that, I placed the photo in the middle and added the pretty embellishments around the photo. And finished it with a cute title and journaling. 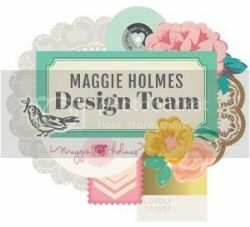 I really enjoyed creating with Maggie Holmes Confetti collection & hope that it will inspire you to start creating too! I love each and every layout of yours, but this one is one of my fave!